Euro is still moving inside the descending trend. Despite the current correction, there is a possibility that the price may continue falling down. 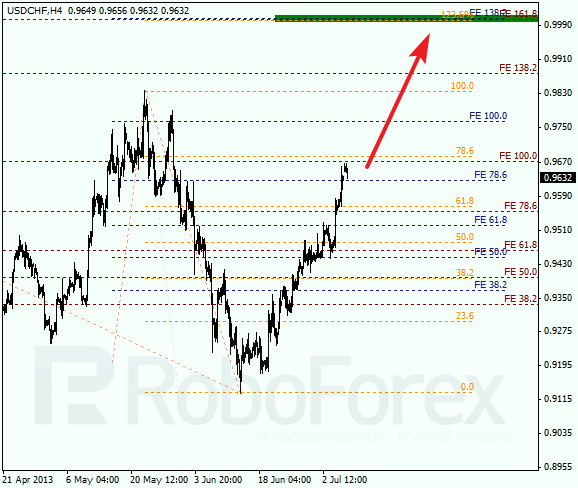 The target for the bears is in the area between two fibo levels, 78.6% and 100%. 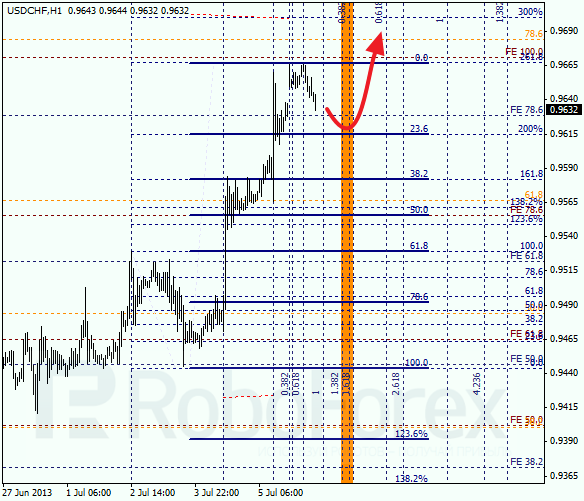 At the H1 chart we can see, that Euro started a correction from the level of 61.8%. The temporary fibo-zones indicate that the bears may reach the lower levels in the first half of Wednesday. Franc is moving upwards quite fast; it may reach its targets and continue growing up. There is a possibility that the price may break the latest maximum. The main target for the next several weeks is the area where there are three fibo-levels. 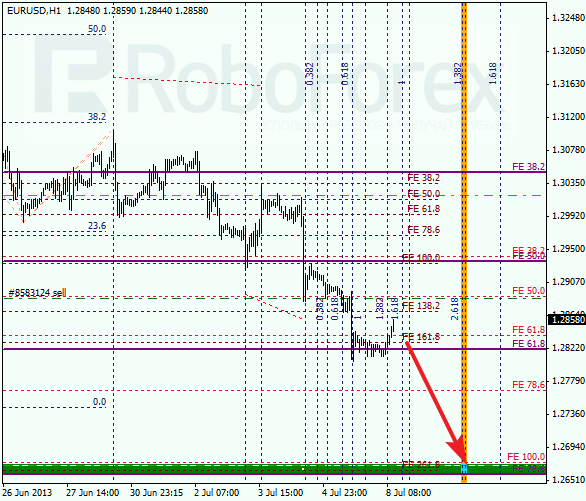 As we can see at the H1 chart, the pair started a new correction, which is unlikely to result in a deep pullback. Most likely, the bulls will be supported by the level of 23.6%. If Franc rebounds from this level, I’ll open some buy orders with the tight stop.